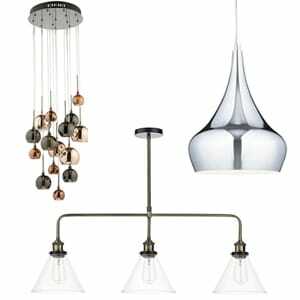 Home »TYPES OF LIGHT»Pendants»Pendant Lights – What Types Are There? You’ve more than likely heard of the term pendant lights or ceiling pendants. They’re an extremely popular form of ceiling lighting and are available in a huge range of designs catering for both decorative and functional styles. 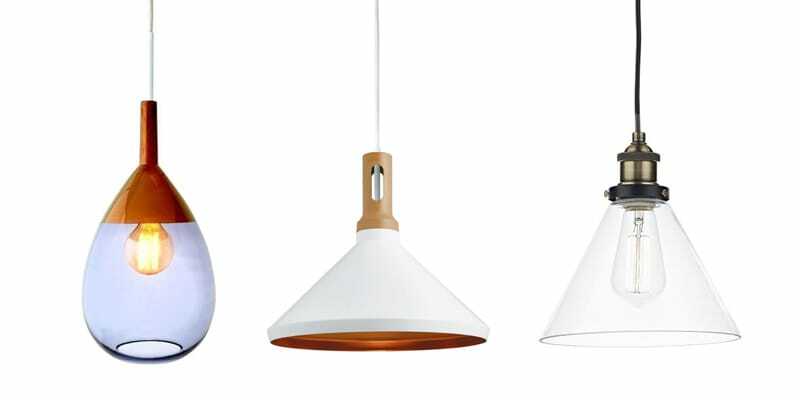 Let’s take a look at the three main groups of pendant lights. This is a broad term but this usually means a single hanging light, whether it’s suspended by a cable, chain or rod varies with design but these individual lights are great for functional lighting and look great hung together in groups or rows. Available in a wide variety of shapes, sizes and colours you’re sure to find something to suit your needs. 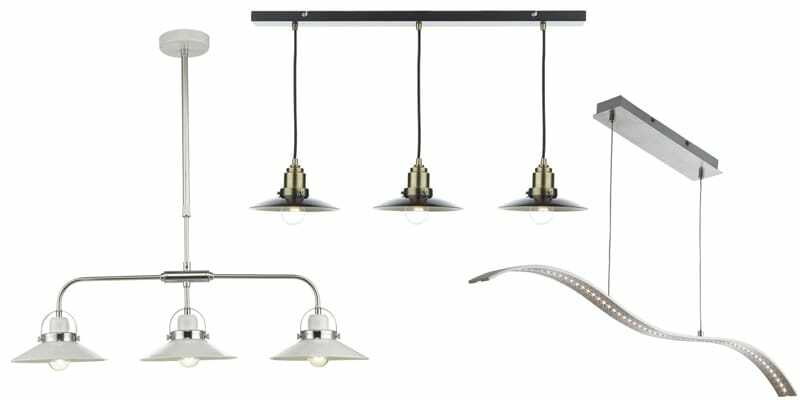 A ceiling pendant bar refers to a multi light pendant that has light sources either fixed to or suspended from an elongated or bar like structure. These are great for lighting over long tables, bars and or kitchen islands. As always these are available in many styles to cater from modern to traditional settings, they also often allow for height adjustment at installation for those with lower ceiling heights (be sure to check individual product specifications as this can vary). Cluster pendants are ceiling lights that have a single mounting point but house multiple individual pendant lights. 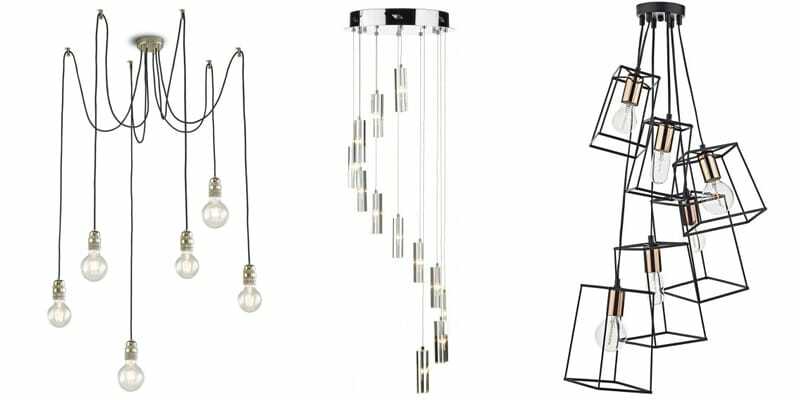 These can vary in style with some opting for a spiralling design, others varying in heights and some designed to be used with ceiling hooks to suspend and scatter the light sources accordingly. With more light sources ceiling pendant clusters often provide a high light output, they’re also great feature lights and are well suited to dining rooms and long drop stairwells. It may interest you to know we have a FREE digital magazine full of inspirational content and offers. Sign up to our newsletter below to become one of our enlightened VIP’s and receive your FREE copies now!